Naim has almost a decade of experience in business development and project management in the renewable energy sector, with his key focus being Solar, EPC, Contracting, MEP work, District cooling technology and Power Generation. Prior to joining Enerwhere, Naim managed stakeholders and helped to develop new partnerships, markets and opportunities regarding power generation and distribution in the Middle East, Italy and Africa. 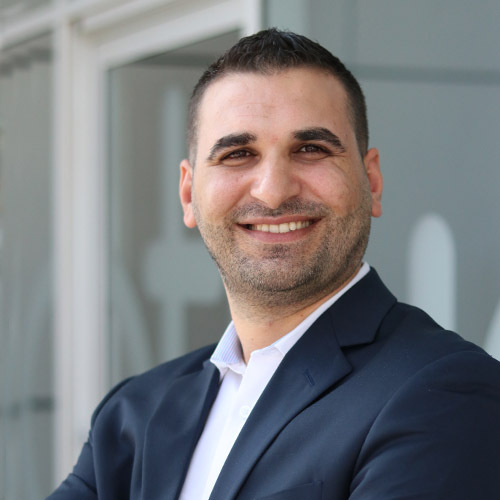 Naim holds a degree in Electrical Power Engineering from Al Yarkmouk University in Jordan, as well as an MBA from Heriot Watt University in the United Kingdom.